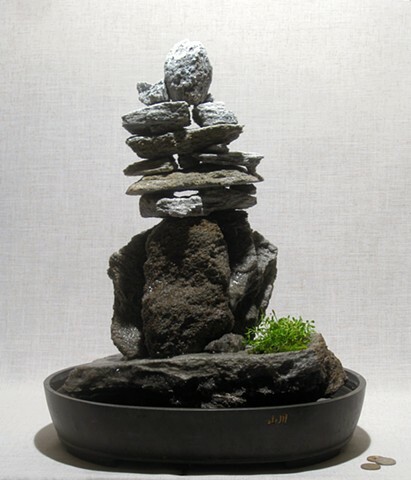 The centaurium and mosses at the base of the inuksuk reflect the tiny plants that sometimes emerge in the microclimates surrounding these landmarks as the weather warms. * Hessel, I. (1993). Canadian Inuit Sculpture. Ottowa: Indian and Northern Affairs Canada. ** Hallendy, N. (2000). Inuksuit: Silent Messengers of the Arctic. Vancouver: Douglas and McIntyre, Ltd.